Council leaders are planning very damaging cuts in public health. Two thirds of the budget will be stripped away. The council’s public health budget promotes healthy living. It aims to prevent people developing health conditions that damage their wellbeing and will result in costs to the NHS and care system. Shropshire Council is planning a swingeing cut of £3.8 million cut. Cuts in public health are easy for Shropshire Council because it does not bear the immediate cost of the consequences. The NHS, charities and communities will have to pick up some of the fallout. But the biggest impact will be on vulnerable individuals. Support to give up smoking will be limited to pregnant women and advice and help for people suffering obesity will be cut back. Work to promote physical activity, investment in community led health schemes and social prescribing will all suffer cuts. Residential detox places and rural support for substance abuse will be cut back. Mental health support will be reduced, including vital support for suicide prevention. The council is to cut back health promotion for people at risk of conditions such as atrial fibrillation, obesity related illnesses such as diabetes and heart disease. Public health staff will be less well trained. In one of the most damaging of cuts, the Shropshire Council’s financing of school nurses will be phased out. The council admits this will mean that “teaching staff, parents and children will not have access to physical and mental health advice” and this “will reduce some of the safeguarding support available to schools.” School budgets are very stretched. They are unlikely to be able to find £390,000 to fund the service themselves. It is wrong that the council is abandoning one of the most successful public health interventions. Many people in Powys use public health services in our county. Health visitors from Shropshire will no longer cross into Wales and sexual health services will no longer be available in Shropshire for Powys residents. There are home goals in this budget strategy. A £97,000 cut to the support for day centres risks lower income for the council from people who attend. This could reduce or cancel out the savings, let alone the impact on vulnerable people who use day centres. The council is changing the way it delivers many aspects of adult social care. The handyperson service that supports people receiving care payments is to be brought back in-house with five staff transferred back into Shropshire Council at a saving of £250,000 a year. The Short Term Assessment and Reablement Team (START) will also be brought in-house, saving £200,000. These moves show that contracting out is not necessarily the cheapest way to do things. Changing the way that individual care at home is organised (Individual Service Funds) will save £430,000. 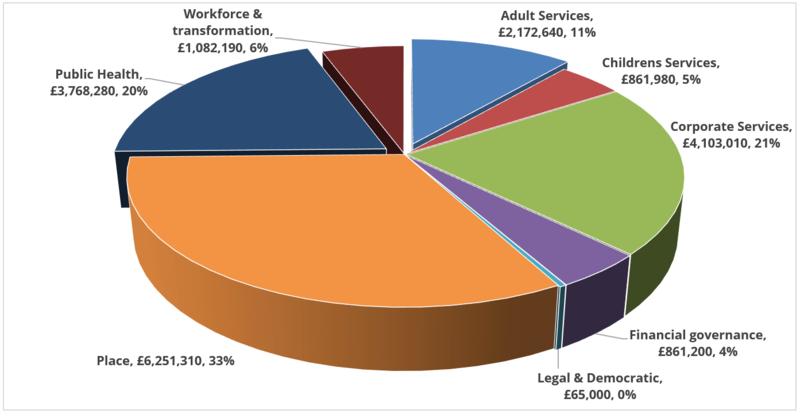 Another £465,000 saving might come from joint commission of services with Shropshire Clinical Commissioning Group but the council doubts whether this can be achieved.